Considering it’s taken the city nearly 100 years to get the Second Avenue Subway moving and that the MTA is over its head in debt, we’re not holding our breath that any other major expansion work will take place in the system, but we can all dream, right? Take for instance these new maps created by cartographer Andrew Lynch as part of his Future NYC Subway series. 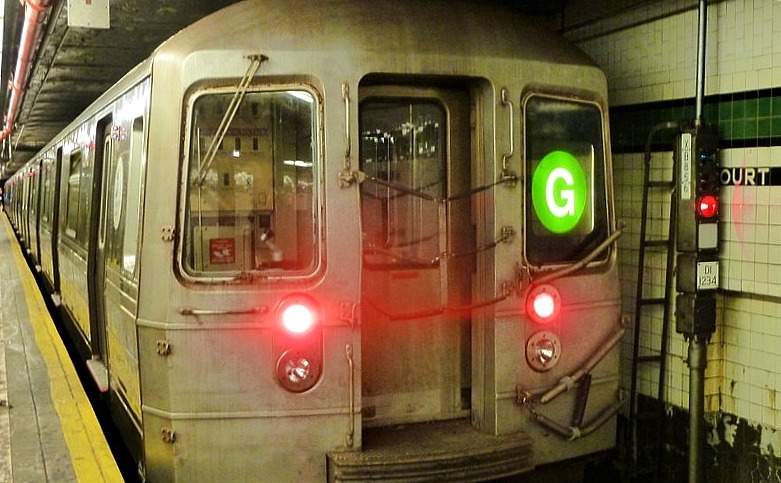 He envisions the G train, which currently only connects Brooklyn and Queens, making two loops into Manhattan — one Downtown and one in Midtown. As Curbed notes, “It’s a slightly convoluted proposal,” but Lynch clearly put a lot of thought into his scheme, even figuring out the tunnels and connection points the train would take. 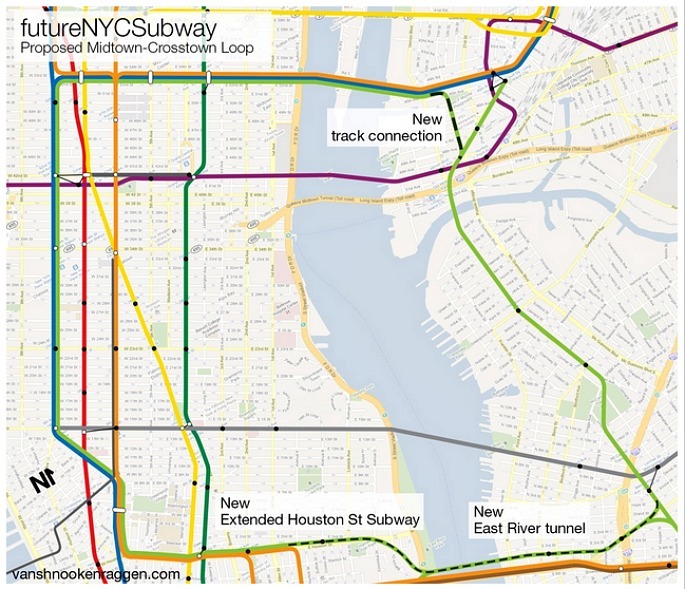 The Downtown loop would take the G train’s current Brooklyn route then head into Manhattan using the N, R tunnel. When it reached Manhattan, it would use the same Centre Street tracks as the J and Z trains, but to head back to Brooklyn, Lynch proposes a new East River tunnel under the Williamsburg Bridge (which he cites as a great way to alleviate overcrowding on the L train). It would also require a new platform and track be built at the abandoned trolley terminal at the Essex-Delancey station. 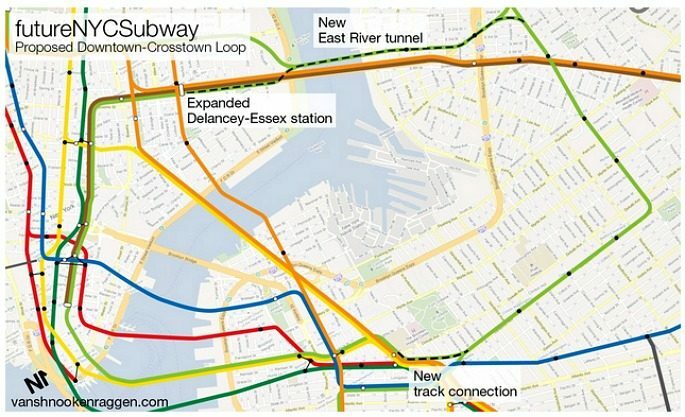 The Midtown loop would connect to Manhattan via the current end of the line at Court Square in Long Island City, through the E and M train tunnels. Once in Manhattan, the train would use the A, C, E tracks and connect to the downtown loop at an expanded Houston Street station. You can read the full proposal and explanation over at Lynch’s blog vanshnookenraggen.